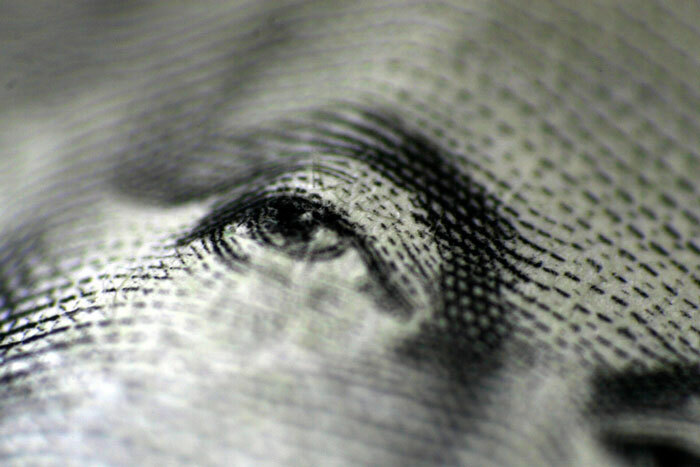 Photo of one dollar bill by peasap via Flickr. Shared under a [CC BY 2.0] license. Scientific progress is at risk from proposed changes to the US tax code. These changes, proposed by both the House and Senate, threaten to constrict the supply of research labor and funding, the impact of which will be felt for generations. The scientific community has a responsibility to understand the proposed changes, how they will impact the research enterprise, and how we can act together to make a difference. The Senate and the House have each passed a version of the tax legislation. They are now in conference negotiations to produce a bill that can pass through both chambers. The Washington Post outlines the crucial differences that must be reconciled, including changes to the tax brackets, estate tax, child tax credits, the timing of corporate tax changes and the expiration of tax cuts, the alternative minimum tax and, not least, the repeal of the Affordable Care Act’s individual mandate. A detailed side-by-side comparison can be found here. The main difficulty in negotiating comes from the Senate rules that stipulate the bill must not add to the deficit outside of a 10 year window and cannot add more than $1.5 trillion to the deficit. Though the bills differ in important ways, both benefit corporations and wealthy individuals who earn a disproportionate amount of their income from capital (including stock sales and dividends), by eliminating/reducing the estate tax, changing how tax brackets are calculated over time, and cutting the corporate tax rate permanently. In contrast, other income tax cuts in the bills last only 10 years. Under both bills, the higher an individual’s income, the greater their share of tax cuts. For instance, under the Senate plan, in 2027 the lowest 20% of earners would be subject to a tax increase, while the top 0.1% receive the largest proportion of cuts: an average savings of over $200,000 for each. Even when accounting for projected economic growth, both bills are predicted to add over $1 trillion to the deficit. To keep this number from being even higher, many tax breaks favoring the higher education sector have been removed; the incentive for charitable giving is reduced and universities must now pay a tax on endowments. This reduces income for institutions, which may be passed on to scientists in the form of reduced research support, scholarships and travel awards, childcare grants, etc. Individual students may also be affected by the loss of employee tuition benefits and the student loan interest deduction. Scientists should also be concerned because the increased deficit is already being used as reason to reduce government spending. While Congress is currently focused on reducing entitlement spending (which includes Medicare, Medicaid, and Social Security), discretionary spending (which includes research funding at NIH, NSF, and other agencies) would not automatically be protected. To preempt these threats to the sustainability of the research enterprise, the scientific community must clearly articulate the benefits of research to the public. The House proposal to tax graduate students on tuition waivers has received a lot of attention, prompting walkouts, as well as many statements of concern from scientific organizations, including GSA. While much of the focus has been on the financial impact on the current crop of graduate students, less attention has been paid to the structural changes that would affect future generations of students and the overall research output from the scientific community. A collective investment is underway to diversify the scientific workforce. Limiting training to the financially secure threatens to reverse any progress in this critical area. If we move even further away from a meritocratic system, what will the effect be on research quality? Without the creative capital of a diverse workforce, the US’ reputation as a world leader in biomedical research will be diminished. Other provisions in the bill would disproportionately harm those scientists at the earlier stages of their careers, such as graduate students and postdoctoral fellows. For example, very few proposed tax cuts are targeted at families with children—and none at families with very young children. By 2027, all but the highest income families would owe more tax than under current law. For postdocs who are funded by fellowships and must purchase their insurance independent of their institution, the repeal of the Affordable Care Act’s individual mandate by the Senate bill could destabilize the insurance markets and lead to higher premiums. Both measures would severely affect early career scientists who are already in a financially precarious position. While only the House bill proposes taxing tuition waivers, and not the Senate’s, it could still be inserted into the final version during conference. Check how your representative/senator voted here. Whether you’re satisfied or dissatisfied with how your elected officials voted, speak up. Thank those who voted as you would have wished. Politely explain to those who didn’t their choices will affect you specifically and US research more generally. Going forward, maintain a relationship with your representatives to make sure they understand the value of research being conducted by their constituents. For the 2018 elections and beyond, find out candidates’ views on higher education and research funding and vote accordingly! Reach out to the Early Career Scientist Policy Subcommittee with questions, feedback, or to get involved. To reach us email shall@genetics-gsa.org. Postdocs who get fellowships are somehow treated as contractors and don’t receive any benefits, why? Universities also exploit postdocs by not mandating NIH payscales by their faculties. Now the universities are at the receiving end. Let’s wait and see who is going to be squeezed more.